The construction of a new 10,100-square-foot World Golf Village retail center is nearing completion. 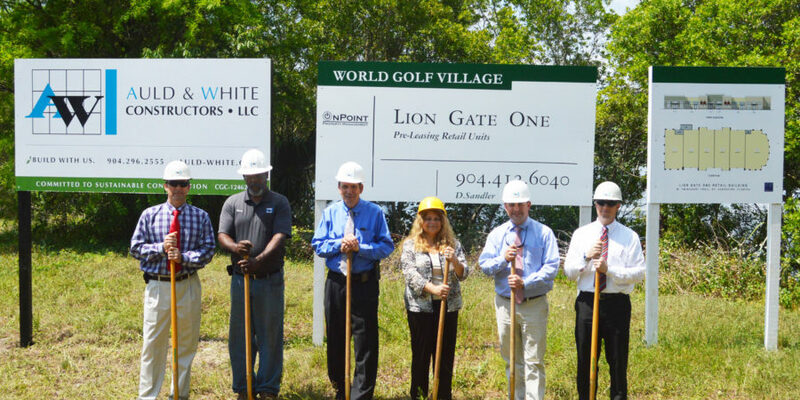 The one-story, lakefront Lion Gate One Retail Building is located off International Golf Parkway at 533 W. Twincourt Trail and will eventually house six tenants. 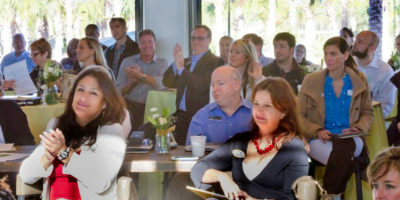 According to the developer, the goals of the center are to support the growing residential World Golf Village community and to attract more businesses east of the Interstate-95 interchange. Auld & White Constructors LLC has been erecting the building designed by Scott Brady of Ebert Norman Brady Architects since May 2016. Construction has been ongoing throughout the summer and is on track to conclude in September. Lion Gate One owns and manages the property. The building is situated on a lake and features a 44-space parking lot. Suites range from 1,486 to 2,150 square feet and occupancy for professional tenants is envisioned as early as November 2016. 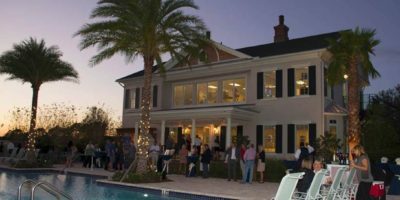 St. Augustine’s World Golf Village features multiple neighborhoods filled with young professionals, growing families and retired seniors. The new retail space has a similar design to Lion Gate One’s adjacent retail center at 559 W. Twincourt Trail, currently housing tenants including LifeSounds Hearing Aids, Coldwell Banker, Allstate Insurance, Tarantola Dentistry, Affordable Braces, McGreevy NeuroHealth, International Golf Realty and Baptist Primary Care. Dignitaries at the May 2 groundbreaking for Lion Gate One.